At Sunshine Tyre Shop, we are committed to offering the best tyre deals in Melbourne for our nationwide customers. 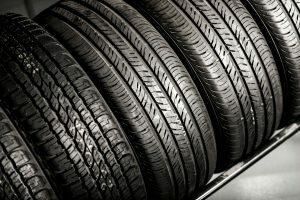 Ranging from brand-new, never used tyres to custom tyres and second -and tyres for all types of vehicles, you have the opportunity to choose the tyres based on your personal penchants. We offer quality-oriented and brand Wheels and Tyres Packages that will match your needs. At SunShine Tyre Shop, we are armed with very qualified sales staffs that do its utmost when it involves turning up the most appropriate fitting for your vehicle with the available tyre deals and packages. To be precise, you will be spoilt for choice when it comes to choosing from a range of Wheels and Tyres Packages. Therefore, if you are looking to avail of the best tyre deals and packages in Melbourne, Sunshine tyre shop is your final stopover. Sunshine Tyre Shop also offers appropriate balancing of all the Wheels and Tyres Packages combos. We guarantee that our tyre deals will give you the peace of mind and ease you of all the problems, as we are the leading tyre professionals who have an unmatched mastery of balancing and mounting the Wheels and Tyres Packages. Our team is always at the disposal to ensure it inspects each wheel and tyre the right way to ensure that the Wheels and Tyres Packages have achieved our quality control standards. Today is the right time to avail of the most available Wheels and Tyres Packages available at Sunshine Tyre Shop. Additionally, you can count on our staff to help you in customising the details of Wheels and Tyres Packages, which include achieving the exceptional offset needs. A range of wheels comes in a chrome, polished lip or even black lip. We strong recommend you to explore our compilation of black, grey and gunmetal rims, which will get the most out of the high-performance street racing technique and appearance. How we take a lead in the industry? At Sunshine Tyre Shop, we always give a special preference to our customer’s penchants, needs, and budget and with these reasons in mind; we have become the leader in the provision of Wheels and Tyres Packages in Melbourne. Our customers are facilitated to get in touch with us free online 24/7. We possess 10+ years of experience in the tyre and wheel industry that is why we at Sunshine Tyre Shop offer second-to-none customer service even in the provision of the best quality Wheels and Tyres Packages at a matchless pricing in the entire Melbourne.